Northwestern Pacific featured with a pictorial history in this program. An expanded DVD released in 2006. Many different aspects of what constituted Northwestern Pacific. 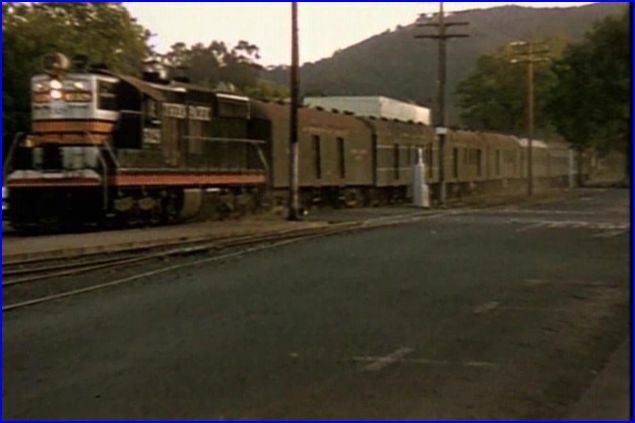 Narrow Gauge, Ferry boats, Electric, Steam, RDC and more. Catenary Video has a complete package here. Using 14 sources for film alone. 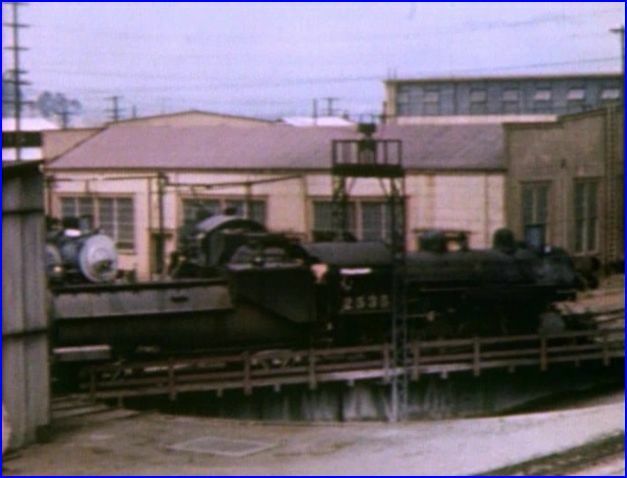 Assorted photographs are employed to give an overview of this railroad. 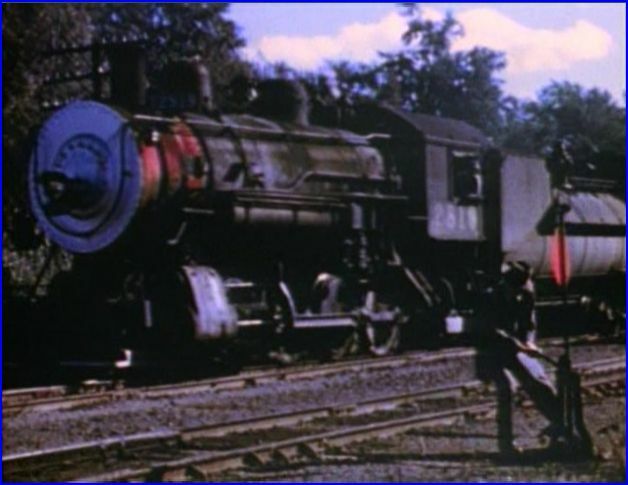 The footage is mostly color. Much of this material is rare. Some black and white, that is also scarce material. This is train Number 3. Obviously. there has been an emphasis on providing a good looking show. Colors are balanced. Train and additional sounds are integrated nicely. Script is pro level. The chapters play as individual features. This does create a little choppiness with the transitions. The dismal narrator may put you to sleep – he is the main caveat here. 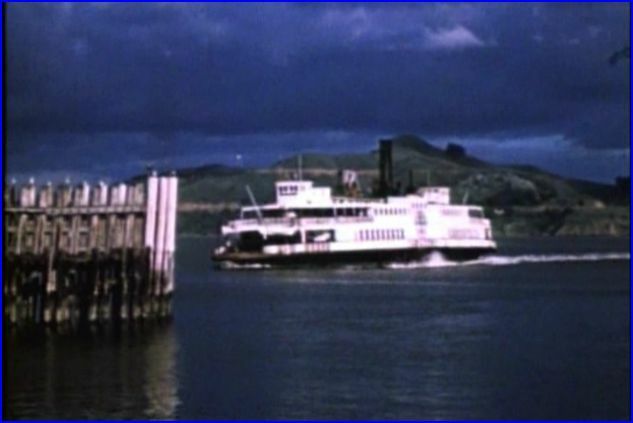 Various NWP ferry boats are well covered. Multiple viewpoints get it done in fine fashion. This one is the Cazadero. Yes, the Eureka is shown and discussed, along with others. 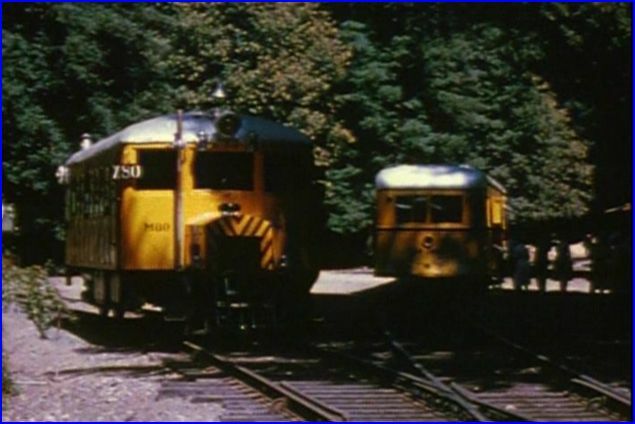 A rather unusual approach with selected then and now photographs tell the majority of the NWP narrow gauge lines. Early years are compared to 1988. 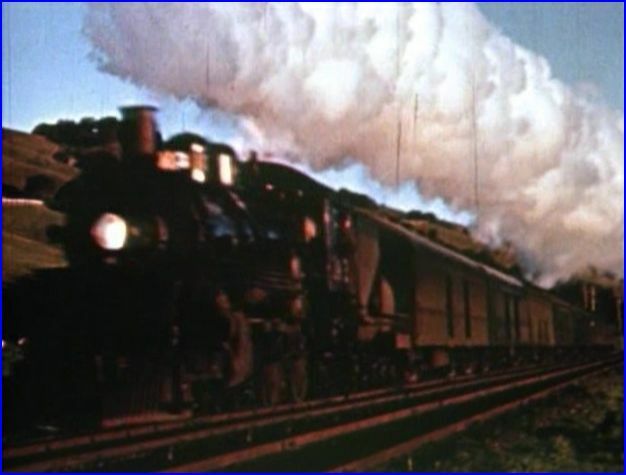 A Southern Pacific Black Widow SD9 leads a passenger move in 1956. The steam chapter is the fantastic highlight. Southern Pacific 2819 at Willets. 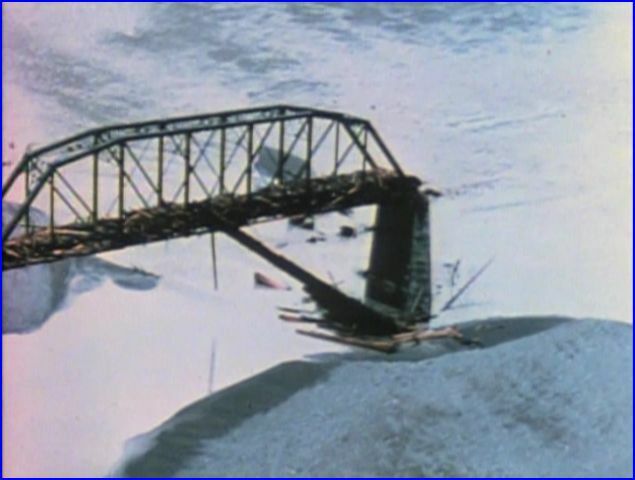 Eel River Bridge had entire sections washed away by raging floodwaters. Southern Pacific flyover on a helicopter in 1964. We survey extensive flood damage to the railraod along The Eel River. Riding a train with a steady camera. A fun way to experience the flavor of a line. Between the varied operations and the 60 years of pictorial history, it can be a handful to follow. The relationship to SP needs explanation. As we move through locations and time, some mention of distances would be helpful. There are assorted basic maps, always a benefit to viewers. Number M-80 is a Mack Truck product from 1923. This is the California Western. These gas electrics produced fumes, and nicknamed ‘Skunks”. An inside visit with the Bridge tender at Petaluma Creek Bridge. Great opportunity to see a swing bridge at work. 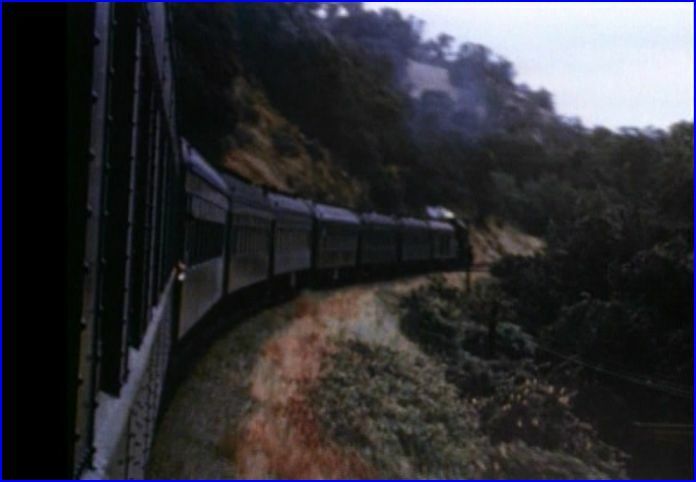 Southern Pacific RDC car is seen in operation. 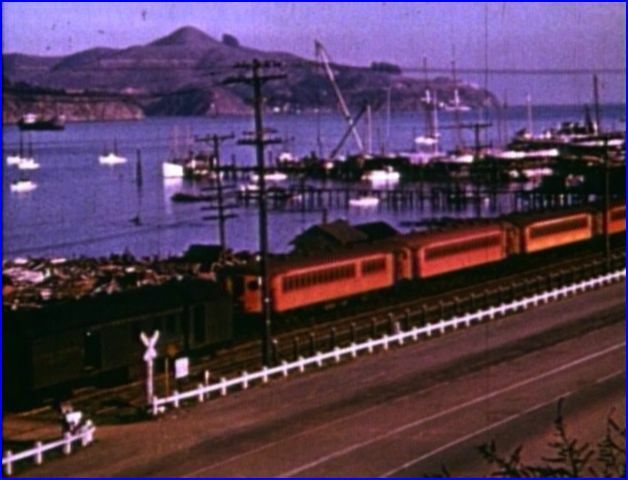 Interurban electrics, are yet another facet of Northwestern Pacific. There are some early period photos have tall masted ships in the background. Tiburon Yard is interesting with steam or diesel engines. 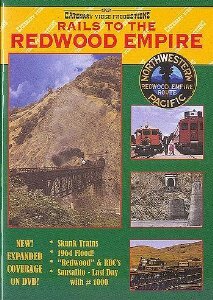 Rails to the Redwood Empire offers comprehensive coverage of Northwestern Pacific. 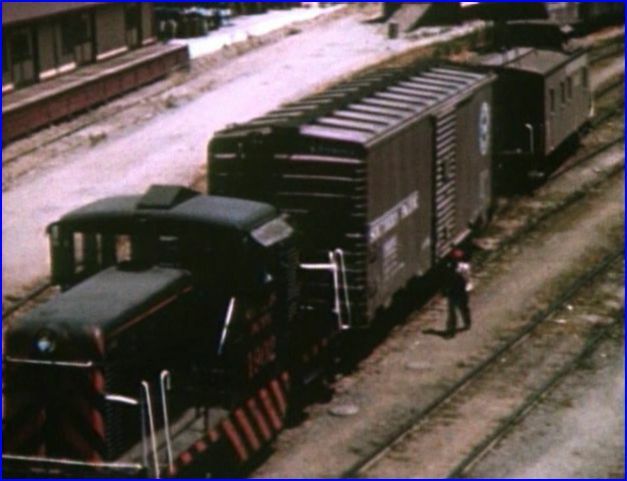 Railfans and model railroaders should find this an informative show. The presentation on this particular program is extremely dry, as far as the narrator goes.. Good script, sounds and appropriate music. Narration doesn’t match up to the overall high quality of the show. Still, it is a worthwhile release to have in the collection. 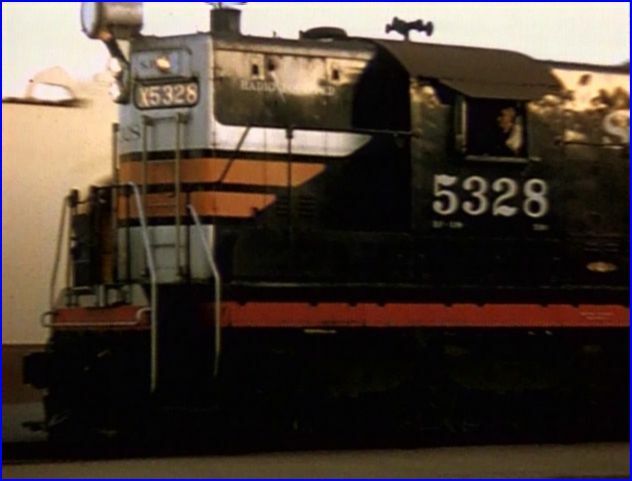 This entry was posted in ATVR Reviews and tagged American Train Video Reviews, California, Railroad, Southern Pacific, steam train, Train DVD by William J. Hudson. Bookmark the permalink.